Being prevented from the pursuit of knowledge, or losing the ability for complex thought processes. To develop a complete understanding of the world around them through intellectual pursuits and the collection of information. You may have seen the letters INTJ plastered around everywhere, yet not fully know exactly what the letters entail. Here, we will explain exactly what the meaning behind these important letters. Introverted (I): In its most simplest form, being introverted means that the individual does not require much external stimulation. In fact, too much external situations leads to a case of burn out. Hence why many introverts need to take a break after extensive socialization. The introvert’s preference for less external stimulation can influence many aspects of their lives such as their hobbies, political affiliations and even their eating habits. Intuitive (N): Individuals bestowed with the intuition trait think in terms of ideas and possibilities. They are curious minded and question the world around them. Their minds are constantly trying to make connections between concepts. Although they can make external observations, their main energy is directed inwards. 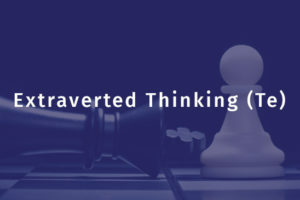 Thinking (T): People with the thinking trait seek logical and rational arguments, and rely on their mastery of these concepts, as opposed to their emotions when making a decision. Those with the thinking trait try their utmost to guard their emotions and to not let them affect their external world. Judging (J): Those with the judging trait need to set out a clear vision before doing a task. Such individuals prefer to keep a mental, or even physical, checklist to tick off as opposed to going with the flow and doing things that they feel like doing in the heat of the moment. People with the judging trait have a strong work ethic and take their responsibilities very seriously. There are two types of identities that individuals have in their personality, and they are known as assertive and turbulent. However, every personality type can be either of the two. So, there are some INTJs who are assertive and some who are turbulent. The identity reflects in how confident a person is in their ability and decision making skills. The identity function essentially determines how you react internally to your outward environment. Assertive individuals are even-tempered and self-assured. They have a relaxed outlook on life – they refuse to stress out about things and don’t bust a gut to accomplish their goals. Assertive individuals do not like to analyze past actions to see how they could impact their future. These individuals are confident with handling unforeseen and unexpected situations. On the contrary, turbulent individuals are highly prone to stress and self-conscious. They are intense individuals, as opposed to the relaxed demeanor of assertive identity types. Assertive types tend to be perfectionists and goal-driven. If they feel that they have accomplished the goals they had set, they cannot rest until new goals are made for them to work on. Although assertive individuals can seem more positive due to their relaxed style, this is not always the case. Turbulent types are more likely to do something to change a situation in which they are unhappy. Turbulent individuals also constantly think about the future and the direction in which their life is going. Due to the ambitious nature of turbulent people, they are also more likely to achieve their goals than assertive types. Forming just 2% of the population, The Mastermind is among the rarest personality types. Breathing a natural air of curiosity leads the INTJ on a journey of pursuing all knowledge. The pursuit of knowledge will propel the INTJ into the realm of theoretical thought and develop a passion for academia and debate. INTJs generally find it difficult to find like-minded people who are of similar advanced intellect with a superior ability to think critically and analyze the facts presented to them. Due to this struggle, they tend to isolate themselves and express feelings of loneliness – they feel that the people around them cannot understand their thought process. INTJs see the world differently than others, and have a hard time looking at the world from the eyes of the masses – leading to a perception of them being seen as arrogant in the eyes of the population. Putting their energy into intellectual and personal interests makes them a poor candidate for working in a low or mid-level corporate position. INTJs thrive in top positions where they are expected to provide innovative solutions to analytical problems. Many INTJs will excel in a field where they can prosper and explore ideas with freedom, such as in engineering and programming. INTJs are proud of their analytical mind which stores a wide range of information on many different topics, all waiting to be explored and adapted to answer many questions that they encounter during their job and personal intellectual pursuits. They are calm and confident in situations which they fully understand; and they will react in a positive manner in most situations, as long as it doesn’t involve socializing and using emotions. The term ‘walking encyclopedia’ has been used to describe INTJs. Pairing that moniker with the never-ending willingness to teach others and share knowledge with their peers makes the INTJ a fount of knowledge. Their peers always seek the advice of the INTJ for logical answers to their problems. INTJs will relish at an opportunity to showcase their intellectual prowess, masking the ego by offering help to people in areas they possess a high level of knowledge and experience; indeed this is one of the rare cases of when INTJs will be unnerved by a social situation. Taking command of a problem that they are confident of solving is when the INTJ displays fluency in handling a social situation. Depending on the experiences that an INTJ encounters, they will usually display an outer image of confidence and extroversion. In truth, this is just a show in order to fit into society’s need for constant socialization. INTJs are naturally introverted and, due to this, their brains are overly stimulated by prolonged social interactions – this means that they need to take a step back from socializing to recharge their batteries after a period of socialization. INTJs are often crippled with social anxieties; self-loathing can become a constant, dark cloud looming over the head of the INTJ. The social anxiety is further exacerbated by INTJ’s social interactions and how they act in them. The negative reception they receive forces them to go further into their own shell and avoid social interactions where possible. By realizing the strengths and weaknesses of their own personal foibles and quirks, the INTJ has the power to independently rise from this dark pit of isolation. Doing so will give the INTJ great pleasure in being a strong, unique presence in this ever-changing world. A powerful hunger for learning and knowledge often develops in early childhood, leading the INTJ child to be excluded from common activities associated with “normal” children. The INTJ child will much prefer to sit alone and read a book instead of playing a game of football with the neighborhood kids. The stunt in their social skills develops very early on in their lives. While other children learn how to interact with others and how to pick up on social cues, the INTJ misses out on this crucial piece of development, which continues to hinder them in their adult lives. Being singled out a “nerd” or “bookworm” from a young age, the INTJ child will grow to adopt a proud self-image of a young intellectual who far surpasses his peers in school. However, the INTJ child will easily make friends with like-minded children; a pattern that continues to trend well into their adult life. All personality types receive an unconscious childhood message from their parents, through their actions and body language. As a child, the INTJ will receive an unconscious message that it is not ok to be comfortable in the world. This will be due to the fact that the INTJ will display a great amount of independence during their childhood; willing to explore and go on adventures, along with having an inquisitive mind. They will often always ask their parents for the reasoning behind any rules they make. There are also lost childhood messages that children do not hear, but becomes the central issue in life. For the INTJ this message is that their needs are not a problem. This message becomes a central issue in the life of the INTJ due to the fact that their emotional needs are not met. This is either through difficulty in finding a compatible romantic partner, or difficulty in understanding their own emotional response to situations. The INTJ child will happily share his knowledge and expertise. Although it might often seem that the child is being a bit blunt and offensive, at heart he just wishes to inspire others to learn with the same passion he feels towards knowledge. However, the blunt nature of the INTJ child will further isolate them from other children, as the INTJ will not take their feelings into consideration and, as such, find it difficult to befriend children who do not share the same passions as them. Children who are INTJ will also be less susceptible to believing children’s tales and superstitions that many other children will readily believe. For example, the child will always be skeptical of the existence of characters such as the tooth fairy and Santa Claus. There are many leisure activities that INTJ children will partake in. Collecting items is a very popular hobby amongst INTJ children. Many will collect cards of their favorite TV shows or action figures. 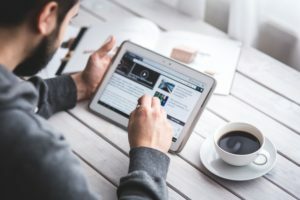 INTJ children will also gravitate towards electronic devices, such as video games and computers. This is no surprise, as many devices require critical thinking to operate, as is the case with video games. Computers have unlimited knowledge, which is a function that children will be very eager to make use of. Children who are classified as INTJ will also enjoy creating and building. As such, building blocks, such as LEGO, are very popular with INTJ children, as it allows them to put their creative mind to use. The INTJ is often a slave to perfectionism. Though this has many benefits it also has many drawbacks, especially when it comes to relationships and parenthood. The core understanding of how something works is extremely important to the INTJ. They will often play with different concepts and ideas in order to fully understand the topic. When it comes to the career or chosen work of the INTJ, they will stop at nothing before they reach the desired final outcome. The problem solving force behind the INTJ’s personality propels the individual to completely control each part of a theory or idea. Great results in a career or in specific projects are almost always the outcome of this situation. However, this perfectionistic, controlling nature is a double-edged sword, especially when a particular variable cannot be controlled. Children, for example, can become a great source of disapproval for the INTJ. In parenthood, the INTJ parent must remember that the child is still learning about life and will not understand the outcomes of their actions. Parenting can become quite a struggle for the INTJ who cannot turn off this perfectionist mindset. As parents, INTJs want their children to grow to be intelligent and independent. The INTJ’s patience will wear thin with children who have a hard time being independent. Though the problem solving mindset of INTJ parents and their passion of sharing knowledge will likely encourage the child to grow into an intelligent individual, INTJs should still consider the child to be somewhat of a long-term project. It may seem insensitive, but the INTJ places emotion very low on the scale of priorities. As such, the INTJ is very unlikely to be emotionally supportive and loving parental figure to their child. The INTJ may have difficulty meeting the emotional needs of their child. Due to this, it is not uncommon to see emotional distance between the child and INTJ. Another drawback of the perfectionist mindset is the inevitable encounter of certain social situations which are beyond the control of the INTJ. One of the greatest struggles the INTJ will face, especially as a young adult, is how to deal with people. People are often seen as notoriously unpredictable and cannot be controlled. Social interactions are fueled by emotion and not logic, which is the INTJ’s domain. You cannot map out how a social interaction will go beforehand; unlike with many of the ideas the INTJ spends their time thinking about. This complete randomness can put the INTJ’s calculative mind at a loss. The inability to relax in unfamiliar social environments is what keeps the INTJ close to the walls in large rooms, or in the quietest area of a party. With so many points of interest and possible variants of outcomes, the INTJ will inevitably retreat into complete introverted thought. Once this occurs, the odds of engaging in simple conversation drop significantly. The main goal for the socially awkward is to end the event as quickly and painlessly as possible. INTJs are a mixed breed when it comes to self-esteem and ego. They have a strong power of self-confidence, believing deep down that they can truly accomplish anything in life which they seek out as a goal. The ego constantly reinforces this self-belief and offers reassuring thoughts to the INTJ after a period of self-doubt. They will derive self-esteem on their intellectual ability, problem solving skills and resourcefulness. The INTJ’s continued success in academia and the work place, due to their intellectual ability, will cause them to build a considerable ego. Self-doubt is often triggered by external forces such as social events, but may also come from completely random factors. For example, something as simple as a passerby who is laughing can trigger the INTJ to go into thinking overload, utilizing every type of critical thinking to try and discover what it was that had the person laughing. The INTJ does this to isolate the possibility that the person was laughing at his expense. Repeated negative outcomes are often what drive the INTJ into himself, accepting introversion as a basic defense method. After all, what could go wrong when there are no people around but yourself and your mind? Introverted isolation is also a selfish endeavor to some degree. The INTJ truly loves being able to dip into deeply introverted thought and can easily spend an afternoon pondering something significant. Constantly being misunderstood by people around them in social interactions and being shunned by people may cause the INTJ to develop a coping mechanism. They may believe that the reason why they are shunned and misunderstood is due to jealousy of their intellectual ability – a result of their ego. Due to this, the INTJ may believe that their thoughts are more important than the people around them, causing them to further come across as arrogant and inconsiderate to other people. The INTJ’s inherent belief in their intellectual ability can also lead to them stubbornly taking into consideration only their own solutions and suggestions, at the expense of others. This will further exacerbate the notion other people will have of them having a large ego and being arrogant. Confident INTJs will often carve themselves a piece of the world to call their own; this may be in their own home or in a preferred public space such as a library. In this domain of self-reliance, the INTJ will become an extremely passionate and will appear highly extroverted when good friends are present. It is in this comfort zone that the INTJ’s true personality comes out. 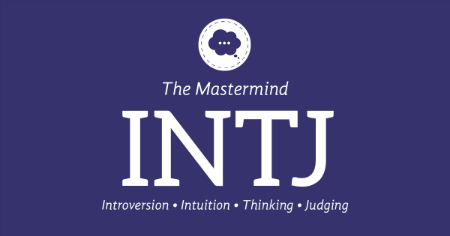 Due to the natural talents the INTJ possess, along with their work ethic, the INTJ is extremely confident in their ability to tackle any task that comes in their way, especially if it is a logical problem. This confidence is built up through their intellectual mindset, as well as their track record in successfully tackling problems that other people have encountered difficulty with. The confidence of the INTJ persuades other people and attracts them towards the INTJ. The confidence of the INTJ allows them to challenge commonly accepted views and the status quo. However, the INTJ is not always in a state of extreme confidence when not in their comfort zone. The INTJ will lose confidence in situations where their intellectual power does not allow them to establish superiority over the situation. For example, in a relationship, when the INTJ feels love for their partner they will not be comfortable with the feeling since it cannot be rationalized through logic. The INTJ’s inability to control extremely strong emotions such as love may make them feel vulnerable and result in a loss of confidence in themselves. Although the INTJ may be persuasive and have a natural allure in a logical environment, this is certainly not the case in emotionally charged social environments. Although the INTJ can make a very convincing and articulate case for their solution to a problem to be implemented at work, they will often become extremely self-conscious and incoherent when making a suggestion to their group of friends on where to go for a meal. In such situations, the INTJ will scamper to regain control of the situation and their confidence through resisting their emotions, which can have an adverse effect on themselves and other people. They will also feel lost and scared due to their inability to take a stranglehold over the situation, something they are not familiar when in their natural habitat of logical environments. The INTJ will take great pride in their ability to remain logical and rational in even the most intense situations, and they show this at work; while everyone panics in a precarious situation, the INTJ is plotting the next move on how to go about solving the problem that is presented to them. Although they can remain calm in situations that require a logical response, this is not always the case in terms of situations that require an emotional response. The INTJ will greatly pride themselves on their perceived ability to not show any emotions and remain logical when other people throw all logic out the window. For many INTJs, showing emotions is a sign of weakness and, as such, they also perceive emotional people to be weak and unable to exercise self-control. Some INTJs even make the bold claim that they do not have any emotions or feelings at all. However, even though they may avoid showing as many emotions as possible, this does not imply that the INTJ experiences no difficulty in handling their emotions. 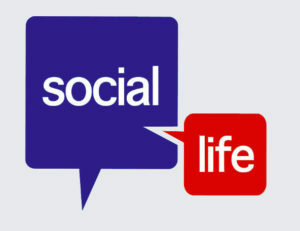 Humans are inherently social beings, and emotions play a large part in social interactions. It is extremely difficult for any human to go against their instincts and to bottle up their emotions inside. The INTJ will face a huge internal conflict by going against their instincts and not showing their emotions externally. This internal struggle manifests externally and is damaging to the INTJ in social situations. When the INTJ can control their emotion well they can come across as insensitive and blunt. However, when the internal conflict intensifies, and they are struggling to contain their emotions, they can come across as extremely awkward as they constantly try to restrain themselves from doing something that is natural to all humans; an outpour of emotions. The INTJ is extremely well adept at making decisions with objective insight by separating their subjective feelings attached to the decision. Obviously, the INTJ can be as emotional as any personality type, but they fight stringently to deal with these emotions internally, whereas other personality types will have no qualm to discuss their feelings with other people, or even having theatrical outbursts of emotions. INTJs can also be sensitive and feel deeply and, although they may strive to resolve their emotional affairs internally, this does not entail that they are cold-blooded. The main conflict for the INTJ, when managing emotions, is how to deal with them in a manner that does not expose them to the outside world. The INTJ is at his best when he is solving and analyzing a problem. So it is no surprise that the INTJ is at his strongest when they have a problem or a situation to discuss with someone else, preferably with someone who also shares the same passions as the INTJ. In such situations, the INTJ is very comfortable holding and carrying a conversation; they are neither formal nor arrogant, however they are not quick to become acquaintances, even when the INTJ meets someone with similar interests. The real problem for the INTJ is when soft skills are required in communication, such as making small talk or being tactful in the conversation. As soon as the conversation requires small talk or emotional energy, the INTJ will withdraw into his own shell and not be a big part of it. Since INTJs finds it difficult to partake in emotionally charged conversations, they find it hard to express their feelings. While conversing, the INTJ will come across as well spoken and succinct. When the topic of the conversation turns to something that the INTJ is really interested about, their passion will be ‘contagious’ and the enthusiasm with which the INTJ converses about these topics will get those around the INTJ interested as well. In a social setting, the INTJ is often out of his comfort zone, finding normal social experiences such as small talk agitating and pointless. Some other personality types will inevitably see the INTJ as a rude person who doesn’t care for others, but this is not necessarily true. Most INTJs have difficulties when it comes to reading people’s emotions and responses, leading them to feel like they speak another language. They rarely seek to hurt people’s feelings and create problems between the social groups; it’s just that they don’t always pick up on social cues. The INTJ’s lack of ability to accept criticism can lead them to completely isolate themselves. So when their peers criticize them for hurting their feelings, the INTJ will further retreat into their own world. When engaged in an intellectual exchange, the INTJ will continually forward the conversation. These interesting talks can often end up in engaging debates that can go on for hours, which the INTJ thoroughly enjoys participating in. The reason why the INTJ will flourish in such a social environment is due to the fact that emotions do not play a large part in intellectual discourse. Inspiring conversation is what drives the INTJ into social environments. When the situation lacks this, the INTJ will retreat into their own mind to find enjoyment from complex thought. A strong social group might never notice that the INTJ is at heart an introverted person. The INTJ is fully aware that they do not play well with strangers, but when with a group of close friends, the INTJ will be truly comfortable. This comfort can be greatly disturbed by something changing the demographics of the group. For example, if a new person were to enter the social group, introverted thoughts would likely lead the INTJ to a place of envy towards the new person. When the INTJ takes the time to understand the new person’s goals and foibles, the INTJ will return to his natural comfort and social engagements within this preferred group will once again become a source of contentment. INTJs who do not find a strong group of friends, or who have friends with little to no understanding of this unique personality type, will inevitably retreat into themselves; this can lead to becoming separated from the social group. At this point, the INTJ may head down a path of true introversion and isolation, which can take many years to break out of. Unfortunately, this is the curse of INTJ in social situations. In his mind, the INTJ will be crippled with social anxieties and will create situations in his head that have no chance of becoming a real event. However, the INTJ uses these social simulations to calculate outcomes and probabilities within the group. It is not uncommon for the INTJ to completely stop engaging in social situations until a time arises when they feel strong enough to re-engage with the world. Naturally, INTJs find it very hard to thrive in social interactions, unless the interactions are conducted under a very specific set of circumstances. The emotional level of involvement in social interactions is far beyond the scope of what the INTJ is accustomed to. When it comes to relationships, the INTJ will pursue a person with a similar character and ideologies. This allows the relationship to offer more than just companionship; it allows the INTJ to explore the theories and ideas with a partner. The self-confidence and ability to have a clear goal of what the INTJ wants is seen as extremely attractive, and one of the main reasons why people choose to get into a relationship with an INTJ. INTJs make a very demanding partner and will have high expectations in their relationship. The high expectations can come at the cost of disregarding their partner’s feelings and expectations, and can inflict many hurt feelings upon them. The INTJ rarely has a sense of the emotional impact their words have on their mate. Spontaneous infatuation is a rare feeling for INTJs. The most common method of developing affection is waiting and watching to see if the partner holds similar and corresponding traits. Once invested in the relationship, the INTJ will be a reliable and dedicated partner, placing harmony at home and the strength of the relationship high in their life priorities. However, the INTJ will withhold emotional struggles and pointless social rituals which they believe are irrational; again, at the cost of disregarding how their partner feels towards them. INTJs like to think about intimacy with their partner, and ways in which to perfect it and make it pleasurable for both parties. The creativity and intensity of the INTJ is a great asset for this area of relationships. However, in negative relationships, the INTJ may spend more time thinking about intimacy than actually participating in it. The INTJ will tend to see intimacy with their partner as a creative endeavor, as opposed to an opportunity to express love and affection. The INTJ who has learned about the importance of expressing love and affection through intimacy is more likely to express them verbally as well. In conflict situation with their partners, the INTJ will tend to analyze it as a problem to solve, as opposed to being emotionally supportive to their loved one. This lack of emotion might lead other people to see the INTJ as a distant outsider. INTJs will be highly loyal partners and will put a vast amount of energy and time into improving the relationship and creating stability. The INTJ values honesty and morality in a relationship. 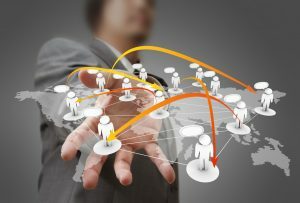 Open communication often leads to the understanding that any aspect of the partnership can be changed to suit various needs of the partners. The INTJ is able to leave a relationship when they believe it is no longer worth working for. They may exhibit a sense of indifference towards the end of a relationship to other people; deep inside this may not be the actual case. INTJs are more likely to be in healthy relationships because they will leave a relationship that is not working out for them. With the amount of time and energy the INTJ puts into the relationship, understandings of why things go right and wrong will emerge. The INTJ will then use this knowledge to further strengthen the relationship and create a powerful union built on understanding and trust. Left to their natural state, without guidance, it is very difficult for the INTJ to find a romantic partner, since the sort of partner that compliments the INTJ well needs social skills to be found. The ideal romantic match for the INTJ will also not be someone who dominates the social scene, and as such, the INTJ needs to learn how to show the initiative in social situations to find the right match. Regarding friendships, the INTJ will often have more luck with quickly developing a friendship than finding a romantic partner. The INTJ will use the same filtering technique for friendships as he does for intimate relationships. This often leads people into thinking the INTJ is rude and abrupt. However, in truth the INTJ simply seeks for a more suitable companion to get the best possible results from the friendship. INTJs are notoriously difficult to get close to and know well due to their extensive filtering techniques when choosing friends. Those who are close to INTJs will value their ideas and knowledge. Although INTJs may give off a vibe of being serious, they can be fun and loosened up if others pull them towards it. INTJs can be good at telling jokes and having a sarcastic sense of humor, along with a deadpan delivery. INTJs seek friendship with soul mates instead of just simple acquaintances whom they deem not worthy of their time and intellect due to a large number of variables. They also do not spend time with people who they feel do not bring value into their own lives. INTJ love to spend time with personality types that like to theorize and speculate ideas, which compliments the INTJ’s personality of analyzing these ideas. INTJs highly value their independence, going to such an extent of choosing to have fewer friends to ensure their sense of independence. They willingly give up having a big social circle to secure their freedom and self-sufficiency. The INTJ does not require much maintenance to maintain a strong bond, and does not depend on social validation from their friendships. During these friendships, the INTJ isn’t exactly the shoulder to cry on. Since they usually suppress their own emotions, they have difficulties understanding another person’s reasons for an emotional outcry. As a result, they will often seem a bit dull to the feelings of others. Becoming a close friend of the INTJ is worthy of notice. The INTJ will subject any potential friend to a large list of positive and negative expectations just waiting to be met or broken. Stalwart honesty is a pillar of the INTJs view of social interaction, so liars will not fare well with INTJs. They are often rapidly expelled from any social group where the INTJ is the dominant member. A strong mutual desire to better themselves and their friends is what truly develops a friendship with the INTJ. The INTJ will openly encourage their friends in joining them in the crusade of self-improvement and realization of new concepts and ideas. Those individuals who fall short of this expectation will be cast aside by the INTJ. Those who meet the high standards of the INTJ will be rewarded with a deeply meaningful friendship that can span a lifetime. Many INTJs will not have a strong group of friends due to their lack of social skills. Although the INTJ may feel that it is redundant to have a tight knit group of friends, deep down they know the isolation they are experiencing is having a negative effect on their life, and distracting them from their overarching goals in life. Like with most forms of communication that require an emotional response, parenthood poses a significant challenge to the INTJ. Having mastered logic, rational thought and analysis techniques, the INTJ finds it hard to deal with someone who has not developed the same abilities, and someone they simply cannot disregard, as the INTJ tends to do with people who do not possess those characteristics. However, as with relationships, the INTJ has incredible foresight and a commitment to a long-term project. The INTJ, as a parent, will be consistent in their behavior to not give affection to the child. The lack of warmth the child receives from the INTJ parent may cause them to be distant. The INTJ will need to adopt a clear conscious effort to curb their tendencies to be emotionally distant and to cater for the child’s needs for affection. If their child is sensitive, the lack of emotional support by the INTJ could come across as uncaring to the child. INTJs tend to regard life experiences as the best form of learning and development. Due to this, the INTJ parent will tend to let their children be fairly independent, allowing them freedom to experience adventures and make their own choices. Another reason why the INTJ parent will want their children to be independent is so that they will have a chance to develop their critical thinking skills. This does not entail that the INTJ parent will just let their child do anything they want; they want to give this freedom to the child to use it responsibly and for personal development. If they feel that the child is not achieving this, they have no problems laying out ground rules, and communicating this to their child. The INTJ will communicate openly and honestly with their child about things they disapprove of, and the blunt nature of the INTJ can offend the child and hurt their feelings. The INTJ will prepare their child well to deal with complex problems they will encounter as they grow, along with making them independent and self-sufficient adults. 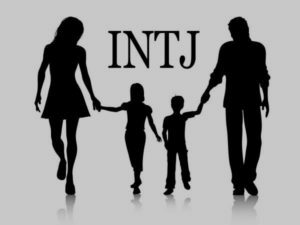 However, the lack of emotional support the INTJ provides may make the child’s relationship to the parent closed off, and is an area that the INTJ should seek to rectify. The main motivator that drives the INTJ to inquire further about things is answering the ‘why’. They want to explore why things work, why they are the way they are and why they are important. This is the main line of inquiry for the INTJ. The INTJ can easily discern complex material, especially when presented in conceptual form and the new information logically follows from what they have learned beforehand. INTJs are capable of rote memorization, although they are better at retaining knowledge when they have a good understanding of a concept. Also, due to the INTJ’s ability to see things from different perspectives, presenting material to them from different points of views with varying examples can be extremely effective in furthering their understanding of it. The INTJ can accurately recall information when it is organized conceptually in their mind. They tend to have a hard time doing this if they have mechanically memorized material with a poor logical flow. In addition to this, the INTJ is capable of retaining visual memory of material that has a poor logical flow. For example, the INTJ will have no problems recalling the scenery they experienced while driving around a new town they visited. Like this, the INTJ can retain visual memory of miniscule events from many years ago. The INTJ’s best environment for learning in school is when the teaching is structured and intense. They also highly value independent learning, and going into depth about topics which are outside the scope of their course; this helps in forming their knowledge on a particular subject. Visual aids can help the INTJ learn, but are not pivotal in their assimilation of the topic. Since the INTJ finds intellectual pursuits enjoyable and high achievement extremely rewarding, the INTJ will naturally excel in education. Many people want to achieve high grades for boasting purposes, but the INTJ wants to succeed in school to gratify themselves. Hence, the school system compliments the INTJ very well, and is an outlet for them to truly allow their creativity and penchant to solve complex problems flourish. The curiosity, intelligence and work ethic of the INTJ places them well above the average student during their education. During high school, the INTJ will develop the skill of abstract thinking. This allows them to further investigate and think about the concepts they learn during school. When choosing subjects, the INTJ will have a natural affinity towards science, technology and art, subjects that combine logic and creativity. Although the INTJ has no problems with the academic side of high school, they may face challenges pertaining to the social side of things. Due to their high marks and reclusive behavior, their fellow students may label them as ‘nerds’. Although the INTJ will not give much of an emotional response to being called names, the constant harassment may result in bullying, affecting their education. The INTJ will usually prefer to keep to themselves, or have a very small group of friends with similar interests during high school. This may perceive them to be seen as an outsider and, as mentioned before, they may face bullying due to this label even if it is partly self-imposed. The INTJ who chooses to attend college will instantly feel as if they are in their natural environment. 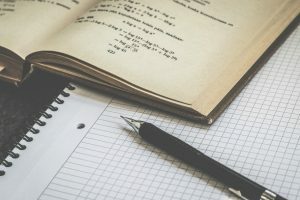 College allows a great deal of independent learning, and encourages students to read about their subjects outside of the scope of their classes; this is where the INTJ will truly thrive. The INTJ will be able to meet more like-minded individuals with whom they get along with. However, one caveat to this is that the INTJ will realize that they are no longer the only high achieving student in the class, and may feel resentment towards others due to this. 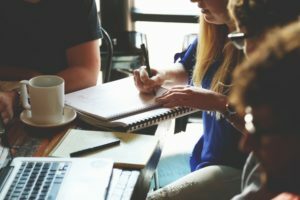 Although many of the subjects that the INTJ will pursue during college will lead to a well-paying job, this is not the goal for most INTJ individuals. The main goal during college for the INTJ is to develop their problem solving skills in their field of study. For the INTJ, university will represent a stepping-stone in their goal towards becoming an expert in their chosen field of study. As they advance during their college years, they will feel as if they are coming into their own. INTJs have a strong power of analysis and are extremely competent when working by themselves. They will be notably less sociable than other personality types. 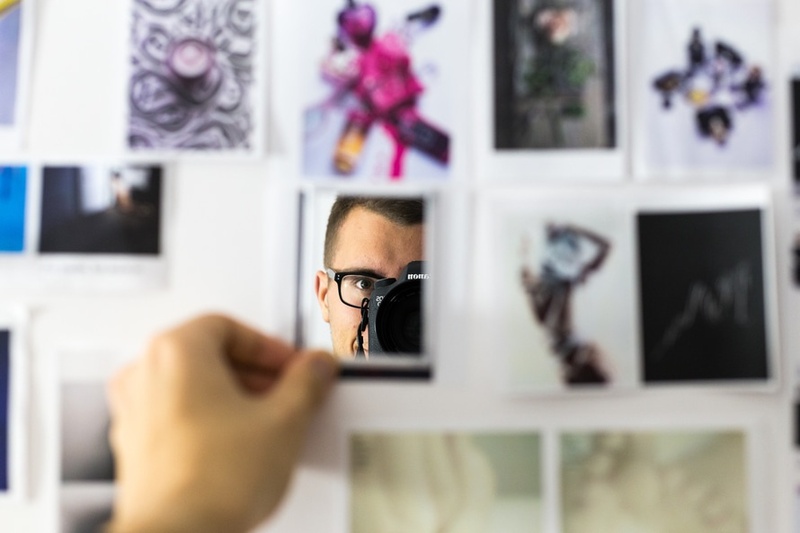 If required, the INTJ can easily step into a position of leadership, especially if they believe the current leader is underperforming, or if they are already undertaking their own projects. Another reason why INTJs are so competent in leadership roles is due to the fact that leaders are usually depended on to find creative solutions to difficult problems. Pragmatism and logic come together with a strong work ethic. Due to these qualities, most INTJs can perform exceedingly well in high-pressure environments. INTJs have an extreme self-belief in their talents, and are unnerved in high-pressure environments. They usually get promoted fast to reach top-level positions where they can truly undertake the work that stimulates their mind. The INTJ understands that emotion can prevent logical decision-making and this understanding benefits them in situations where others may become overwhelmed. The INTJ has the uncanny ability to remove subjective thoughts to arrive at an objective decision. They are usually tasked with ‘judging’ any disputes among their peers, as they are known for their unbiased and objective decision-making. Due to the INTJ’s belief that nothing is impossible, paradoxes in social communication can occur. For example, the INTJ can be a powerful idealist with a strong belief in one idea, but also be a harsh critic to another. This stems from the INTJ’s reasoning powers and belief that they can tell if a person will succeed or not due to their previous attempts and level of intellect. However, this can lead to a negative perception of the INTJ by others. They can be seen as arrogant for their unwavering belief in their ideas, as well as judging other people by their level of intellect. This added scorn upon the INTJ can lead them further into isolation, even among their work colleagues. INTJs are always finding different perspectives from which to view a certain topic, and will let that “outside thinking” show in their work. High performing INTJs will often achieve great accomplishments throughout their life. 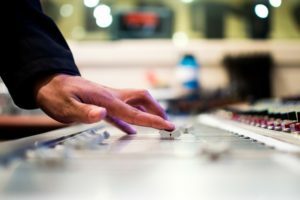 The pursuit of money is rarely considered worthwhile to the INTJ, although the projects and fields that pique their interest often lead to a huge windfall of cash. The power of perception is highly developed among INTJs. Perceiving is the first reaction to many situations for the INTJ, allowing them to grasp the situation completely before taking any action. This is one of the reasons why the INTJ is so good at creating theories and ideas – he allows things to unravel, paying close attention to every change along the way. The cognitive functions are a hierarchy of four separate filters that a person uses to process information. These four functions are sensing, intuition, thinking and feeling. People have a dominant function, which is the default running mode for their personality. This dominant function is supported by the auxiliary function, the second most familiar operating mode. 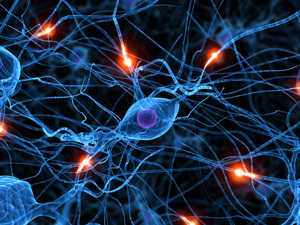 The tertiary function usually develops more over time, becoming more apparent as the person develops in their consciousness. The final, inferior, function can be described as a person’s “Achilles’ heel”. It is the most underdeveloped way of processing information. These cognitive functions all fall under 2 categories: introverted and extroverted. Introverted functions are self-focused and internal, they are often considered to be more intense and require greater concentration. These functions gather all information and decision-making factors from within the individual. The extraverted functions form the opposite purpose, constantly pushing things out into the world and their surroundings. They are more extensive and distributed, choosing to focus on many things over a small period of time instead of a singular idea. Intuition is commonly known as the unconscious way of knowing, or “thinking without thinking”. For the INTJ, intuition is the default thought process behind most actions. 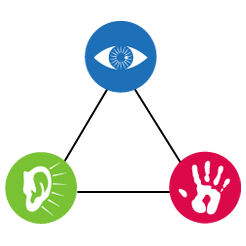 This allows them to skip over large amounts of thoughts in order to reach a conclusion, without having to consciously think of each part in a separate way. 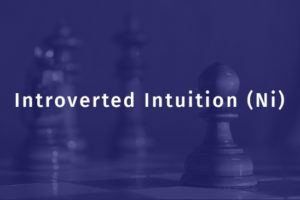 A good way of picturing the introverted intuition function is that the answer to complex questions is instantly available to INTJs, almost like a reflex. This is due to the fact that their minds process the incredibly complex information that INTJs gather subconsciously. When it comes time to use this information, their introverted intuition takes no time in utilizing it to find solutions. Ni is a perceiving function, although INTJs have a good idea of how it works and why they still do not fully control it. The INTJ who can realize this and construct a method of controlling the intuitive functions will most likely become a master of complex thought. However, this does not mean that the INTJ can run on autopilot when engaging in different situations throughout life. The main realization of the INTJ is the thirst for knowledge. This means that the intuitive function cannot run without sufficient fuel on a subject. For example, the INTJ cannot fully explore a certain theory without knowing its individual parts, thus leading the INTJ to learn everything they can about the subject. Only when a critical mass of understanding is achieved can the intuitive process begin to rapidly process thoughts and concepts. The most powerful sense that the human being has is vision. Many INTJs have reported that the default way of thinking is in vivid pictures and images instead of words. This visual processing is a great strength of the INTJ in the fields of analysis and theory; they are not constrained by the rational and logical thought that other personalities are. Extraverted thinking is the logical side of the INTJ, serving as an extremely beneficial function to introverted intuition. Te helps the INTJ to break down theories into smaller chunks and independently analyze each segment in relation to the bigger picture. It is a perfect complimentary function to their primary function, as it allows them to put their theories into practice in the real world. Extraverted thinking is a means to establishing goals and procedures, allowing the INTJ to reach a logical conclusion to any given theory. Clear definitions are formed using this function, and a defined roadmap is marked out in the brain of the INTJ depicting how to move from step one to the finish line. Ultimately, Te offers a solution to the chaos and randomness that sometimes is a part of intuition, allowing the INTJ to isolate areas and render the unpredictability of a situation under control. As Te is the auxiliary to the INTJ’s intuition, the two can pair together to create an easy-to-understand explanation of the ideas of the intuitive function. This ability to take a huge mess of ideas and compress them into a neat stack of ordered files showcases the superior thought patterns of the INTJ. Extraverted thinking plays a large role in the difficulties that INTJs face regarding social situations; they cannot put social situations into logical steps to follow for success. But it can also assists the INTJ in expressing complex thoughts which they experience. 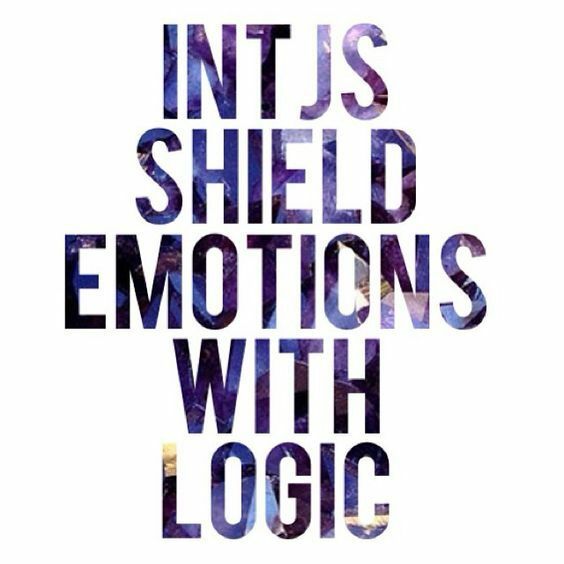 When Te meets another person who cannot approach ideas with logic, or can’t detach from emotion when reacting, the INTJ will become frustrated. This frustration comes from the INTJs inability to understand the driving forces behind the other person’s rationale. In reality, it is simply just a different person’s way of dealing with situations. In the heat of the moment, this thought may only present itself to the INTJ after it’s too late. Introverted feeling is what leads some people to believe that INTJs lack empathy and display an absence of emotion. The Fi function allows the INTJ to have a set of beliefs to strictly follow and adhere to. In reality, INTJs are highly perceptive to the feelings of a select few individuals. It is the unconscious decision to not take the correct amount of time to understand people they perceive as being of lesser importance. This subconscious choice leads to the INTJ to often feel as though she does not understand most people. Fi leads the individual to seek an intense emotional investment with his family and one or two close friends. The INTJ will often become a loyal, honest and committed partner, and the well-being and development of any children will become a paramount point of focus. This intense emotional investment in a select few people will enhance the ability of the INTJ to emphasize with them. Instead of showing the world how they feel, the INTJ directs all emotional changes and reactions internally. This allows the most dominant functions to begin understanding the current situation. 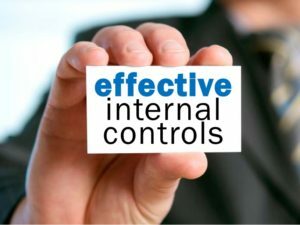 The function can also make the INTJ feel as if no one understands their internal conflicts, and so it does not need to be dealt with externally. Fi is why the INTJ can seem, from an external point of view, as an emotionless being. Fi may lead the INTJ to seek a new understanding of himself, allowing him to improve his social inadequacies in order to pursue a particular career or relationship. Introverted thinkers find themselves extremely sensitive to the many injustices of the world, especially in cases where the victims are unable to defend themselves. It is this sensitivity that pairs up with Ni when the INTJ dreams of a world of equality and peace. The prominence of the Fi can vary widely from one INTJ to the next. Fi seems to have a strong correlation with the stability and security of childhood and young adolescence. These negative experiences at a young age are perhaps what leads to a high level of emotional instability in some INTJs. The opposite can be said for those with a stable, happy upbringing. Fi drives the search for self-understanding and finding a place in the world. It gives the INTJ a strong desire to understand what makes them so different than the rest of the population, and an unwavering set of beliefs and values. The inferior function is the most unconscious of the four functions, often times regarded by the INTJ as pointless or elusive. 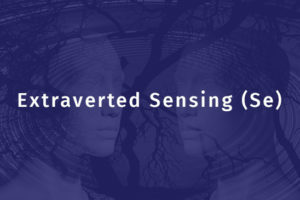 Extraverted sensing is the process of directly perceiving the environment – without using any mental filters at all. This lack of an obvious sense of what surrounds them can lead to the image of an individual who sometimes seems oblivious to their surroundings. INTJs try to replace the sensing function via experiencing the environment in an intuitive way. The surroundings are subconsciously noticed and realized. This leads to the INTJ knowing things without ever realizing or making the conscious effort to learn such information. That passive sensing can lead to being easily overwhelmed and over stimulated in chaotic situations and noisy environments. Feeling disconnected from the outside world and, in some cases, their own bodies leads to the INTJ being defensive when it comes to experiencing the unfamiliar – for example, when trying new foods, drugs, or physical activities. The lack of previous knowledge and experience leads to a high level of uncertainty and the new experience is deemed too risky to chance. Your quick mind will prove to be your most powerful tool. With the ability to rapidly grasp new ideas and concepts, you will be the first in the room to understand a new ideology. Curiosity plays a vital role in your hunger for knowledge and will guide you throughout life and lead you to many fulfilling absolute understandings. Planning out many possible outcomes from different actions you take, it allows you to plan for a variety of results when working on a project. Independence will lead the way. You are more than capable of following your own path in life. Your disinterest towards authority figures will be noticed when you do not agree with a boss regarding a project or task. Your tenacity to follow what you believe is the right course of action will drive you further and further in your chosen field. The sky is truly endless for you if you can tap into the power of leadership and start your own company. Your commitment in relationships, and your efforts to work hard in them, will lead to a healthy and successful love life with your partner. Your powerful level of self-confidence will often lead you to the correct conclusions. If you are right, you are right, no matter what and until proven otherwise. This brutal following of your beliefs will lead you to be seen as an honest individual in communication. People will see your intellect and you will gain much respect, as long as you remember that not everyone can be right all the time. Working hard on your projects is what drives your self-worth. The ability to undertake and complete tough tasks and projects is what makes you a powerful asset to any company, or a powerful figurehead when launching your own projects. When properly explored, ideas which might seem false or even ridiculous to you can be extremely rewarding to fully experience. This part of your curious nature will often be shown when learning new things and meeting new people. Alternate lifestyles are often an aspect of life which provides much interest to INTJs. It is when you are proven wrong that you truly open your mind, after believing one thing for so long, and not giving thought to other possible conclusions. When the penny drops and you realize you were wrong, hundreds of doors and thought patterns can be explored in order to reach a more developed conclusion. All of the previously mentioned strengths mixed together create a strong-minded individual. If, in order to reach a new goal, you have to learn an entirely new language, you will do so almost effortlessly. This will develop a powerful sense of understanding, which when used will allow you to deconstruct advanced and complex ideas. This leads once again to a better understanding of the subject. Also, you will be able to suggest improvements at most stages of the creation period of any task. As an INTJ, your confidence can be awe-inspiring. However, people of lesser intellect will end up taking your brutally honest actions in social areas of life personally. The way that you have closed up to anyone who criticized your opinions is great for self-preservation, but a prevention of your social growth. You work best in your own way; this is true. However, sometimes we will be pushed into highly structured environments in order to fulfill a task. You must remember that other people are being put through this as well. Though you seem to be the only one who wants a way out, these other people are often feeling the same way. Be careful not to be too harsh on people who don’t follow your ideals to the letter. When it comes to romance, forget about your needs and requirements. The list you have made for your ideal partner most likely resembles an imaginary figure. No one is perfect in this life and you will end up either giving up the search or alienating all possible dates with your ruthless checklist of attributes. Forgetting your tastes in this area is the best action to take if you truly wish to love and be loved in return. Always seeking self-improvement may be taxing on your partner, and they may feel unloved due to it. Sometimes being right isn’t of paramount importance. If you assess an argument or point to be irrational you will simply deny the advance and close up. This judgmental belief structure will lead you to be of a closed mind toward certain aspects of life. Allow people to be right in their own way once in a while in order to achieve more in the social realm. You may tend to respond to conflict by seeking out logical steps to remedy it. However, this may not always be the best solution, especially in your personal life. With loved ones, you may need to respond by providing emotional support during the conflict. Always use your analysis skills to determine whether or not the situation requires an emotional response, as opposed to a logical one. Due to your extreme confidence in yourself, you may not respond well to criticism or when accepting blame; even when this is warranted. Always take criticism on board as it can help improve you, especially in social interactions. When you are rightfully blamed for doing something incorrect, do not look for excuses, or to put the blame on someone else. You should accept full responsibility and analyze where you went wrong.